In fall 2009, then-Utah Attorney General Mark Shurtleff staged a run for the U.S. Senate seat held by Bob Bennett. As in previous state campaigns, Shurtleff had banked on the support of Utah’s telemarketing and online-business-opportunity (OBO) industry, which had donated hundreds of thousands of dollars to Shurtleff in previous campaigns. 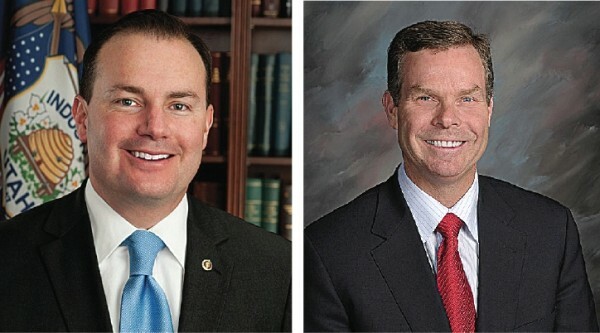 When Shurtleff dropped out of the race in fall 2009, citing family reasons, a number of representatives of the OBO industry soon cast their support for Mike Lee, who would go on to win the senate seat in 2010. Among those supporters was Jeremy Johnson, who, personally and through family members and business associates, donated $24,500 to Lee’s campaign. Including the Johnson donations, Lee received $55,011 in campaign donations from those involved in Utah’s OBO industry, according to his filings with the Federal Election Commission. Utah’s OBO industry sells programs and services to consumers across the country to help them build online businesses or get ahead in real estate and other such ventures. Critics have blasted the industry for selling programs that don’t accomplish anything for consumers other than maxing out their credit cards, with fees running as high as $10,000. In 2011, Johnson was indicted by the Federal Trade Commission for being the mastermind behind IWorks, an OBO business that allegedly defrauded thousands of Americans out of a combined $275 million by tacking illegal credit-card charges onto the accounts of customers who purchased the company’s products. Lee says he doesn’t recall meeting with Johnson or anyone speaking on his behalf. 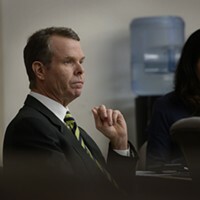 Johnson’s donations to Lee’s 2010 campaign came at a time when Johnson had already begun a relationship with then-Deputy Attorney General John Swallow. Johnson later said that in 2010, Swallow helped facilitate a bribe of U.S. Senator Harry Reid, D-Nev., in an attempt to derail an FTC investigation into Johnson’s company IWorks. Lee’s 2010 campaign records also show him receiving heavy support from companies with close ties to Swallow, including Tosh Inc., the parent company of the payday-loan chain Check City, which previously employed Swallow as a lobbyist and has also been implicated in what Johnson called a bribe and what the Swallow camp has described as hired lobbying for Johnson. Another Lee campaign donor, David Barlow—now the U.S. Attorney for Utah—was briefly involved in the federal investigation into Swallow and his dealings with Johnson before the U.S. Attorney’s Office recused itself in early 2013. 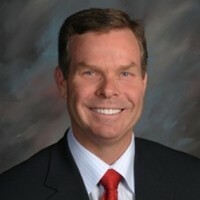 Barlow, a Republican, was appointed to be the U.S. Attorney for Utah by President Barack Obama in fall 2011. Barlow was nominated by U.S. Sen. Orrin Hatch, R-Utah, and was supported by Lee. Lee had banked $27,800 in his 2010 campaign from Sidley Austin, the firm Barlow had previously been a partner in. Lee had also worked at Sidley Austin before running for the Senate, and later hired Barlow as his general counsel prior to supporting Barlow’s nomination as the U.S. Attorney for Utah. In January 2013, when news broke of the Johnson/Swallow scandal, the U.S. Attorney’s Office soon confirmed that it was involved in investigating the allegations into Swallow. By March 2013, however, the office formally recused itself from the investigation, leaving the federal investigation up to the Department of Justice’s Public Integrity Section. An office will recuse itself from an investigation if there is a conflict of interest that might impede a fair investigation. The U.S. Attorney’s Office for Utah, however, declined to comment on why it recused itself. While the office has been recused from investigating Swallow, it is still prosecuting Johnson for allegedly defrauding consumers through IWorks. In May, a gag order was placed on Johnson after he used websites and other means to allege that the prosecutors at the U.S. Attorney’s Office were political allies of Swallow’s and had sought to broker a deal with Johnson that would protect Swallow from prosecution. In an interview, Lee says he was aware of the office’s recusal, but says he has no knowledge of why that may be. He also says he’s had no interactions with federal investigators into the probe of Swallow’s conduct. Lee says he doesn’t recall meeting with Johnson or anyone who might have been advocating Johnson’s case in 2010 before the indictments came down. “It was three years ago,” Lee says. He also says he doesn’t recall the circumstances under which he received donations from Johnson and others in the OBO industry. his associate Jason Vowell donated $7,200 in 2010. Vowell recently pleaded guilty in federal court for his role in attempting to sell 100 kilograms of marijuana to a Drug Enforcement Agency agent in Florida. Vowell transported the drugs to the state in a plane identified in a receiver’s report as having belonged to Johnson. Lee did say that Swallow helped line up Lee’s campaign with some wealthy donors. George Evan Bybee, a longtime friend and business associate of Swallow’s, makes numerous appearances on Lee’s 2010 campaign records. Swallow was counsel for Bybee’s Basic Research in the early 1990s. Through Bybee and his family, Basic Research and another company of his, Winterfox LLC, Lee received $34,600. Tosh Inc., owned by the late Richard Rawle, also donated to Lee’s campaign with the help of Swallow, Lee says. According to articles published by The Salt Lake Tribune, Johnson said Rawle was to play as an intermediary in the bribe of Harry Reid. In late 2010, Rawle formed RMR Consulting, which received $250,000 from Johnson. Rawle also paid $23,500 from RMR Consulting to Swallow’s P-Solution company for consulting work Swallow said he did for Rawle. Lee received $33,600 in campaign contributions in 2010 from Rawle, Rawle’s family and Tosh Inc. Donations from Johnson, members of the OBO industry, Rawle and Bybee were some of Lee’s largest in his 2010 campaign. Final arguments leave Swallow's fate in jury's hands. Former Utah AG faces 13 corruption charges.